My name is Fabrizio De Rossi, I am a freelance illustrator, 3D modeller and paleobiology student from Austria, trying to create arts and crafts related to any of those three categories (and more). My current goal is to become self-sustaining with my art, so I can create more of what people enjoy looking at. Tendaguru Formation, an unfinished diorama scene for Earth Archives and Studio 252MYA. 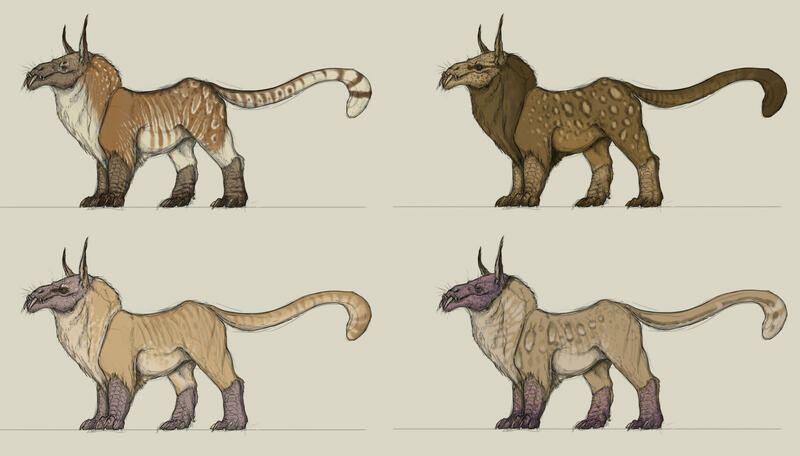 My focal point is Creature Design, be that scientific reconstructions of extinct animals or fantasy/sci-fi-creatures. I come from a background of drawing dragons and other mythical things, eventually turning to creating believable creatures that are seated in their natural environment. Studying (paleo)biology is helping me to research and understand how things work and why they evolve. 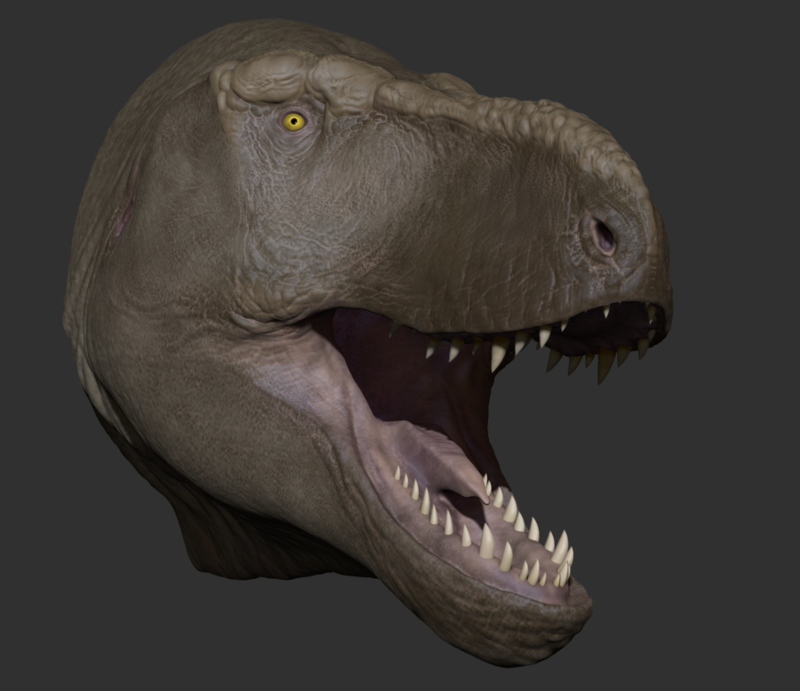 Tyrannosaurus rex, reconstruction being worked on with the help of my Patrons! If you find that you like my work and would like to help me get better and create more of these, your pledge would be highly appreciated! I have a lot of illustrations and models in the making that could use some support in order to get finished (and possibly ready for 2D- and 3D-printing). Eventually, your support will help me to expand my tool- and skillset to delve deeper into the realms of scientific reconstruction, 2D-illustration and even animation at some point. 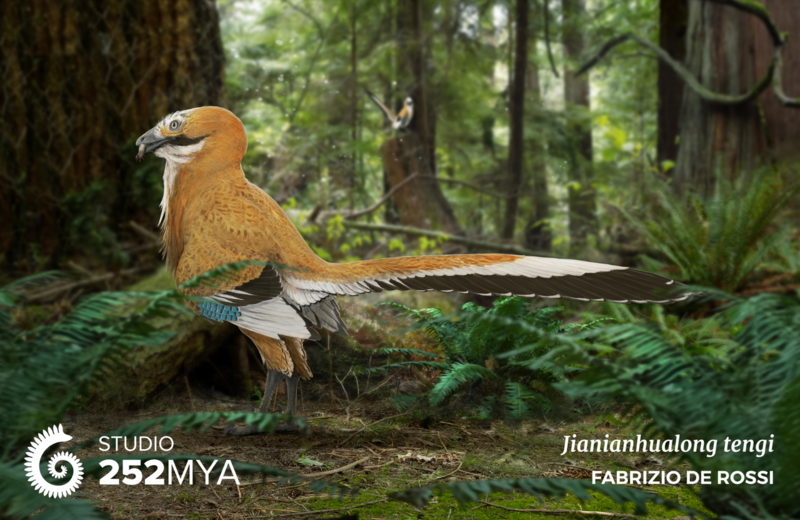 Jianianhualong tengi, illustration and photo manipulation for Earth Archives and Studio 252MYA. I have a personal project, that I am frequently working on, about a fantasy/sci-fi world that is filled with both mythical and personal, imaginary creatures. Your help would assist me in further developing this world and eventually create more art and storyline around its inhabitants. 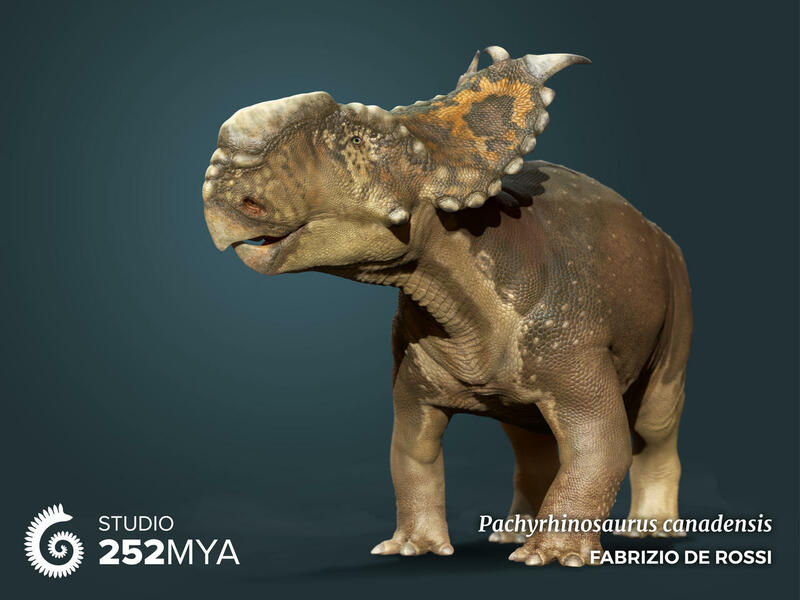 Pachyrhinosaurus canadensis, 3D model for Earth Archives and Studio 252MYA. I like showing my process, how I come up with ideas, how I doodle things. As a patron, you will get to see lots and lots of sketches (some done while working on my desk, some done in between lectures. You never know when the muse hits you! ), work-in-progress screenshots of current projects and, at a certain point, you'll even receive full-scale-jpg-files of the illustrations you guys helped me finish. You will get access to me posting my workflow and the steps I take to finish a certain piece of art. These can vary quite a bit, depending on the project and my preference, so there should always be something new to learn! Desert dwelling scavenger, personal creature design. Congratulations, you just earned yourself my eternal gratitude! Every bit helps and is greatly appreciated! Wow, so much support! Thank you, thank you, thank you! You shall gain access to my (hopefully frequently updated) development blog, where I will post sketches, ideas and concepts for ongoing projects! This is crazy! You know what? Next to blog access, a discord role and a sketch, you'll also be getting a coloured sketch or drawing of a prehistoric critter of your choice! Okay, okay, this is a lot to digest! This will not only get you all the above rewards, but no! Additionally, you'll be getting a special mention in my tutorial videos to come. I want to let everyone know who the people are that support me, and this is you! This really drives the machine and helps me move forward, so expect more fun benefits in the future! Being supported to this end would help me maintain monthly costs, such as rent, groceries etc. and as such would provide me with more time for my art. That way, I can work on setting up tutorials, walkthroughs and speedsculpting or speedpainting videos for my Patrons to enjoy!